As reported by Screendaily, Michael Fassbender will take on a most storied Shakespearean role, that of Macbeth, which will be directed by Justin Kurzel. This new role announcement tosses Michael's previously announced roles into a flux of sorts because it is not clear when filming will start on this Macbeth production. I'm sure many of us are familiar with Macbeth, however, the wikipedia page about Macbeth reminds us of the plot, and it is surely going to be something completely fantastic to see Michael in. 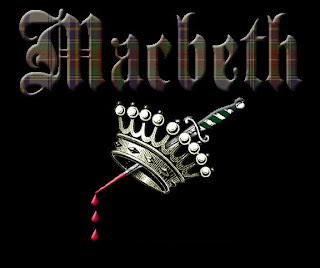 Macbeth is a play written by William Shakespeare. It is considered one of his darkest and most powerful tragedies. Set in Scotland, the play dramatizes the corroding psychological and political effects produced when its protagonist, the Scottish lord Macbeth, chooses evil as the way to fulfill his ambition for power. He commits regicide to become king and then furthers his moral descent with a reign of murderous terror to stay in power, eventually plunging the country into civil war. In the end, he loses everything that gives meaning and purpose to his life before losing his life itself. The play is believed to have been written between 1603 and 1607, and is most commonly dated 1606. The earliest account of a performance of what was probably Shakespeare's play is April 1611, when Simon Forman recorded seeing such a play at the Globe Theatre. It was first published in the Folio of 1623, possibly from a prompt book. It was most likely written during the reign of James I, who had been James VI of Scotland before he succeeded to the English throne in 1603. James was a patron of Shakespeare’s acting company, and of all the plays Shakespeare wrote during James’s reign, Macbeth most clearly reflects the playwright’s relationship with the sovereign. So, are you interested in seeing Fassbender as Macbeth? But this seems like a great role for him. It will be a few years before we actually see this though. Looking forward to it. I agree with Martha. Every project with Michael excites me but Macbeth, wow, it's a wonderful role for him! I hope we'll have some other news about this project soon, and I'm really curious about the rest of the casting. Dammit, Natalie Portman will be Lady MacBeth. This is so unoriginal and boring! I'm tired of her! What? They didn't think Michael could carry the film on his own, they needed an A-list oscar winner female? Lady Macbeth is suppose to be older, no? I'm not excited about about this. I was rather hoping for Cate Blanchett or someone of that ilk, sigh. Natalie ruins this for me; I'll watch for Michael. I just saw the Natalie news. I do like her but I don't know about her in this role. I don't mind being proved wrong. It's all about the money for people. Maybe we will be proved wrong but right now the excitement level went down a notch for this project. Seems like most people here agree. Have a nice day all! Thank you Simone! I am sick of Natalie Portman. Noooo! Why is she always in the mix when it comes to Michael. I'm sorry but she is very dry to me. I can only tolerate a few of her movies. Yes Maria...somebody call the brilliant, Cate Blanchett please. I hope they prove me wrong because I don't want another project with Fassy being the main actor holding it up. Of course I'm supporting Michael. I agree on you Simone. Michael could carry this film. I understand that they wanted an A-list actress, but then there are more names who would be more suitable for this part I think.